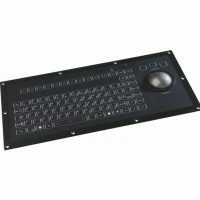 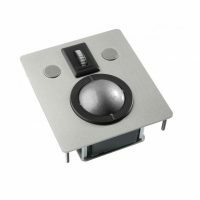 The NSI KSTL105 keyboard uses short travel switches with low pressure and positive tactile feedback for convenient fast data entry. 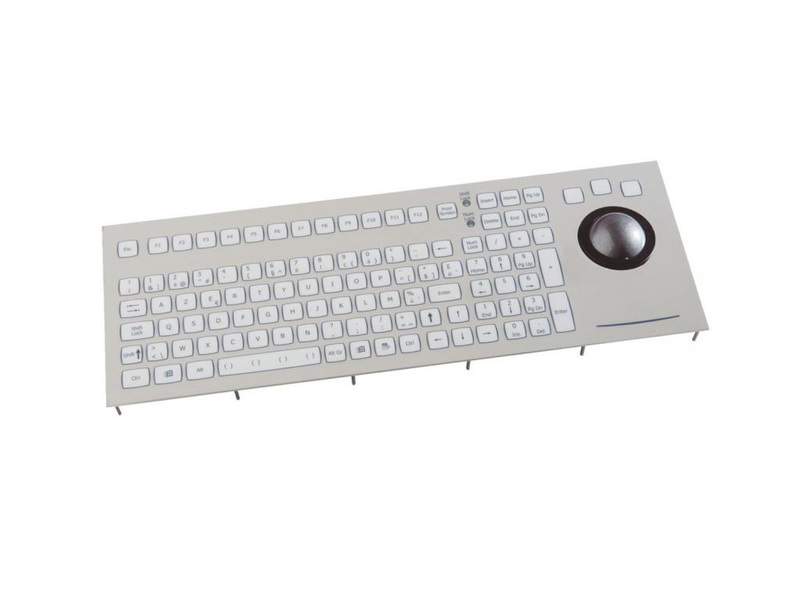 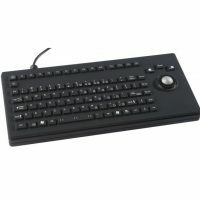 The rugged keyboard features an integrated removable 50mm trackball. 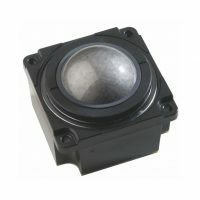 The fields of industrial applications are very wide; indoor- and outdoor where a higher input speed is required while maintaining outstanding sealing characteristics.